Hmmm! “Disadvantages of Incineration vs Anaerobic Digestion”; We guess that a lot of visitors will be thinking “Why compare these two processes? Why talk about the disadvantages of incineration versus anaerobic digestion?” That is a good question, and it isn’t something we would have thought of, had not the comparison been made in a report published today by the London Assembly’s Environment Committee, and featured in the ADBA Press Release below. That incineration comes with some massive downsides for raising recycling rates, once installed, and can be a major health risk due to flue emissions which need to be cleaned-up to a very high degree, is not new. Nor is it new to point out that flue gas clean-up by technologies are essential and they simply cannot be allowed to fail, otherwise dangerous substances such as dioxin will be emitted, as serious health risk factors. What is new is for a major report to very closely compare those incinerator disadvantages with the advantages of anaerobic digestion and biogas/ fertiliser production, and categorise incineration as one of the least desirable forms of waste management. Watch our video below to quickly find out exactly what we are saying on this subject. Don’t forget to return after watching the video. we have a lot more information on this subject, when you SCROLL DOWN! London, United Kingdom – Thursday 07 December 2017, ADBA – National Conference 2017. AD industry body says report ‘strengthens case for mandatory separate food waste collections’. The UK’s anaerobic digestion (AD) industry has welcomed a report published today by the London Assembly’s Environment Committee that describes incineration of household waste as one of the ‘least desirable forms of management in the waste hierarchy’. may have negative health effects. The report goes on to say that because not all London boroughs offer separate food waste collections, food waste is being burnt rather going to other processes which are more environmentally beneficial, such as AD, which recycles food waste into renewable energy, low-carbon transport fuel, and nutrient-rich biofertiliser. The report describes anaerobic digesters in London as ‘under-utilised’. nutrient-rich biofertiliser, vital to restoring the UK’s depleted soils. That incineration would, once installed in an area, tend to reduce the likelihood that higher rates of recycling would take place is not new. For at least 20 years pressure groups such as the Friends of the Earth have been making exactly this same point. It has been the main objection to incineration, after criticism of technology for the inherent dangers of incinerator flue emissions. 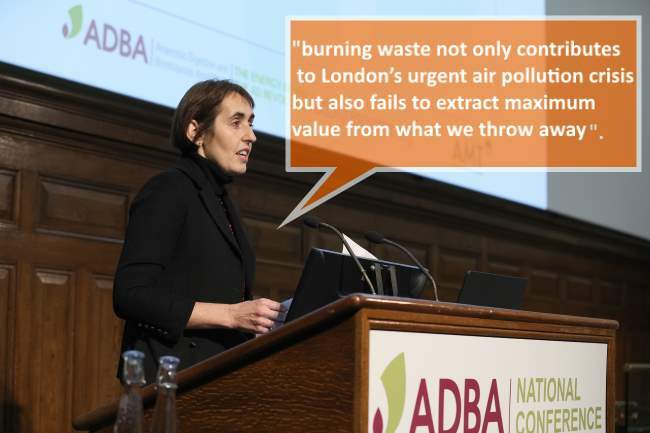 It’s only right that ADBA (Anaerobic Digestion and Bioresources Association) should publicise the disadvantages of incineration vs anaerobic digestion when other bodies are making this point. It is our view that ADBA is correct, and the disadvantages of incineration are exactly as they suggest. The hope is that at long-last mainstream opinion may be moving toward the same conclusion. If this proves to be a watershed moment for acceptance of the disadvantages of incineration, and the support society gives to the anaerobic digestion industry as a result. Many people will look back on this day and the “Waste: Energy From Waste” report, as a historic event. London Assembly Environment Committee report Waste: Energy From Waste. The disadvantages of incineration, have all been said before, and here is the evidence that it has, in a clipping from an article published in 2012, as follows. But, this big difference is that now the London Assembly has accepted those arguments for the first time of any governing body to do so! This has now produced a precedent which whether the London Assembly realised it when they published, or not, which will have negative consequences for incineration as it will be quoted by the opposing pressure groups, at every future incinerator planning inquiry. The emergence of energy from waste [incineration] as the likely solution for almost half of Wales’ local authorities has dismayed both local communities and eco-campaigners. 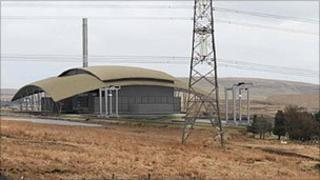 Haf Elgar, a Friends of the Earth Cymru campaigner, told BBC Radio Wales’ Eye on Wales programme: “We’re concerned that incineration is really an old technology. “It essentially takes black bin waste and burns it at a high temperature. “We believe that’s wasteful because other technologies can sort waste and make the most of recycling and re-using valuable materials that are just burnt in incineration. I was very pleased to find this web-site. I wanted find a reason to object to proposed incineration plant. Now at least I can say what is a better choice. So thanks for your time for this wonderful read!! I’m definitely using it and I have you bookmarked to check out new stuff if you post.